This is a favorite Italian beef recipe from Pam, made with a pot roast and Italian salad dressing. The pepperoncini adds extra flavor to the meat. Thicken the liquids to make a sauce for the beef or serve the shredded beef with some of the juices and prepared brown gravy. Place the rump roast in a slow cooker or crock pot. Sprinkle the Italian salad dressing mix over the roast. Add the pepperoncini mixture and beef stock. Cover and cook on low for 7 to 9 hours, or until very tender. Remove the beef to a plate and shred it. If desired, stir the flour mixture into the juices to thicken. Turn the slow cooker to high and continue cooking for about 10 minutes, or until thickened. Add the meat to the gravy. 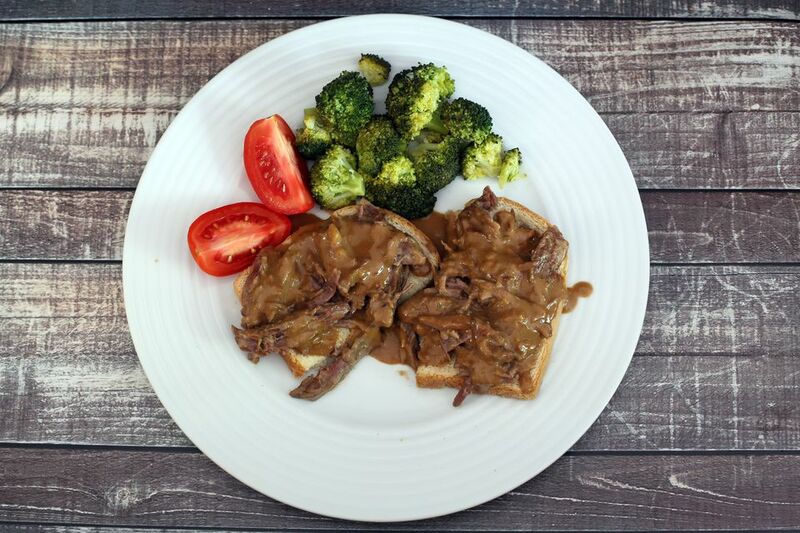 Serve the shredded beef on bread with some of the pepperoncini and juices along with brown gravy from a jar or prepared mix. Add 1 large sliced onion to the slow cooker before you add the beef roast.